Look your final design over well before sending it out. 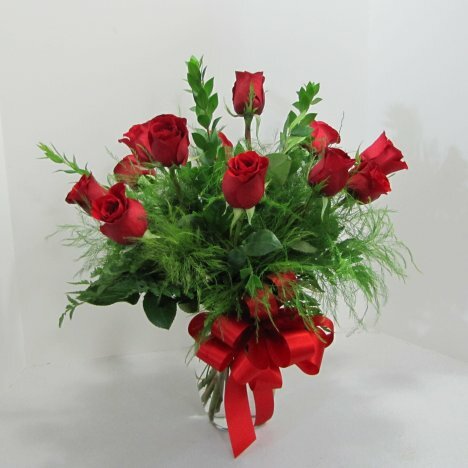 Snip off any straggly wisps of greenery and see if any additional stems are needed. 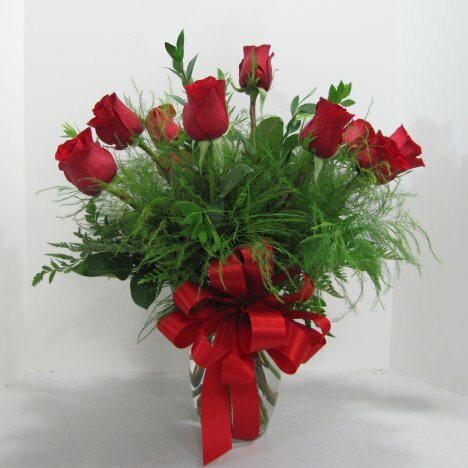 A view from all sides show that every flower stem is firmly locked in place and ready for delivery. The top view shows that the flower heads are spread out evenly across the design and curve outward in a wide spray. 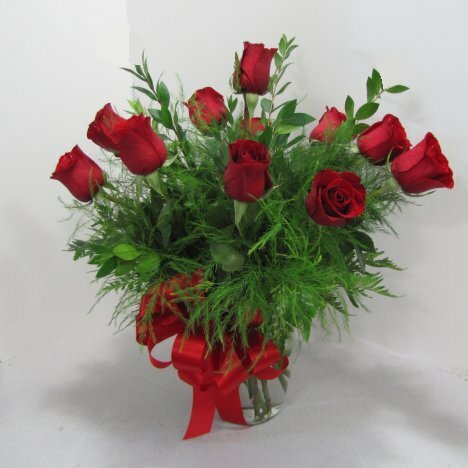 Keep in mind that the same techniques can apply to mixed flower vases as well. 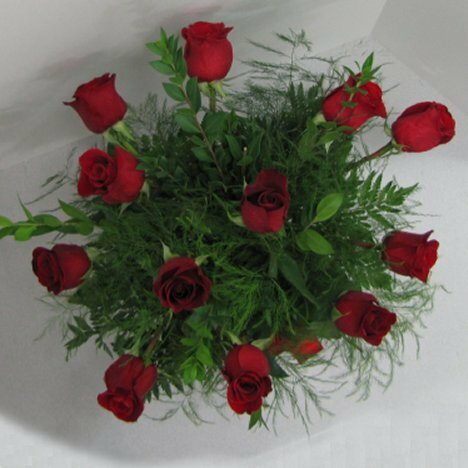 The same principals work for flower vases using a multitude of different flower varieties. I also use a product called Leafshine to add a gloss to the leaves. 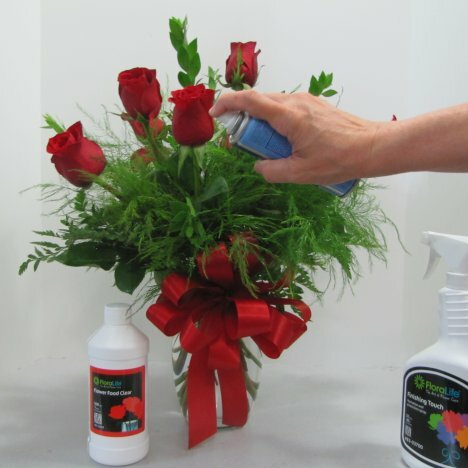 Spritz this on the greenery only, avoid spraying directly on the flowers. The propellant in the Leafshine can could freeze the flower heads. 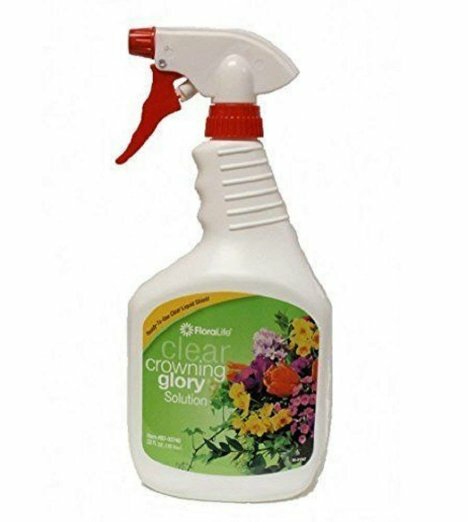 Never forget the final step of misting your finished design with a flower sealant such as Crowning Glory. This seals the petals and keeps air conditioning or heat from robbing those petals of moisture of both the flowers and the greens. 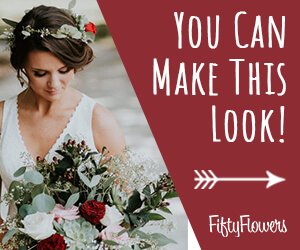 It is available in 32 ounce spray bottles and larger gallons if you have a large amount of wedding florals. 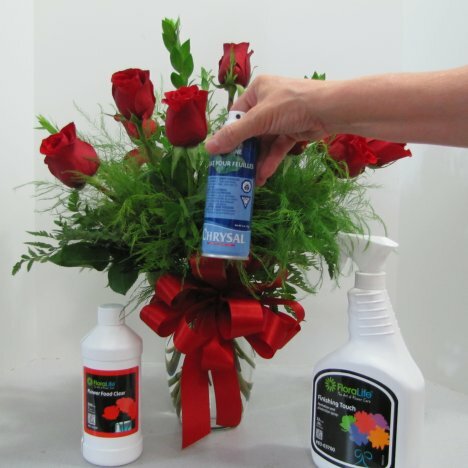 I use this sealant on every flower design I create.